There is nothing new about Facebook trying to copy Snapchat features. 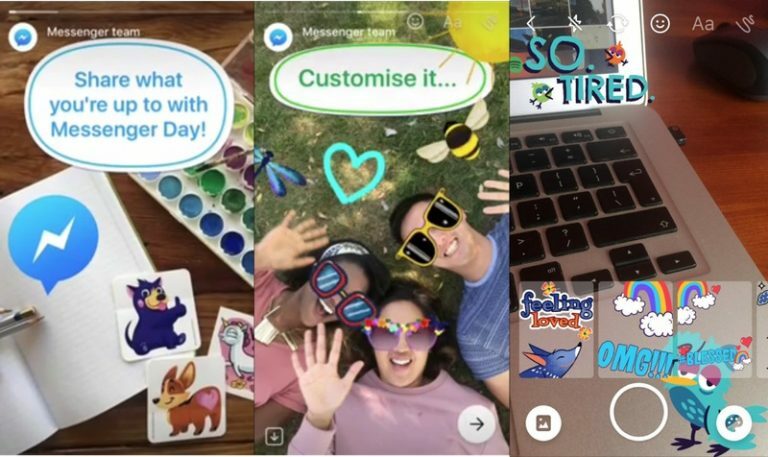 In yet another clone move, the social media giant is now testing Snapchat Stories-like feature for its Messenger app. It had already rolled out a similar feature on Instagram, a month ago. A report by TechCrunch says that Facebook has started rolling out the new feature, dubbed as Messenger Day. This feature allows users to post photos and videos for a set duration of 24 hours. Yes, it also enables a variety of filters. The new feature has debuted in Poland for now. We expect Facebook to start a gradual roll out for other regions. The reason behind Facebook choosing Poland as its first base for Messenger Day feature is – Snapchat is less popular in the region when compared to Facebook Messenger. Similar to Instagram Stories, the Messenger Day feature also appears at the top of conversation list. It follows the same sequence; your story will rank first, followed by the stories posted by your friends and family. It has a variety of features such as stickers, text, and more. Sadly, unlike Snapchat, Facebook has not included “lens” selfie face effects. Basing its decision on the response received in Poland, Facebook will be making the new Messenger Day feature official in other regions too. For Instagram, the stories feature seems to be working fine. It would be interesting to see how it works for Facebook Messenger. Going by the past attempts of Facebook copying Snapchat, the social media giant failed to achieve the desired results.